Gray Gaulding will race full-time in the NASCAR Xfinity Series for the first time in 2019 as the driver of the No. 08 SS Greenlight Racing Chevrolet. 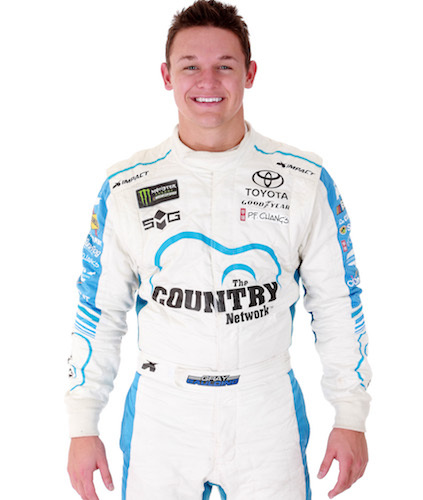 It will be his first full season in any of NASCAR’s three national series. Gaulding’s racing resume includes eight-career starts in the Xfinity Series between 2016 and 2018. His best finishes, to date, are two 13th-place finishes, both in 2016 for Roush Fenway Racing. Gaulding has experience in all three of NASCAR’s national series, with most of his starts coming in the Monster Energy NASCAR Cup Series. In 49-career Cup Series starts, Gaulding has one top-10 — a ninth at Talladega (Ala.) Superspeedway in 2017. His best finish across all of NASCAR’s national series was a fourth in the NASCAR Camping World Truck Series race at Canadian Tire Motorsport Park with NTS Motorsports in 2014.